Scott: I’m more excited to have a good buddy of mine join me, Jason Lucchesi. Jason: How are you doing buddy? Scott: I am doing wonderful. It looks like you are rock and rolling. Jason: When you work from home and you don’t have a bunch of people that come in and out of your office, I try and inspire myself with other people here. If I’m on the phone or something I’ll pretend I’m talking to John F. Kennedy over here or Albert Einstein. It helps out a little bit, so I don’t drive myself crazy. Scott: That’s a beautiful thing. I talk to the window. I know you’re so busy with doing a lot of stuff. You’ve got a new book out, you’re rock and rolling, you just wrapped up a big event in Vegas. 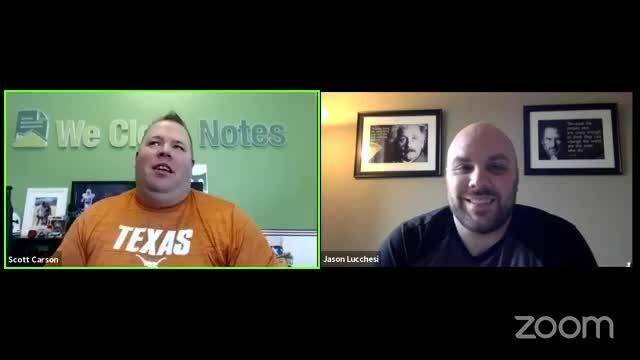 For those that don’t know who you are, why don’t you share a little bit who Jason Lucchesi is and a lot of what your focus is, and how you got in the note business a few years back? Jason: My road started off in 2002. I was in the mortgage business start off early on. I went on over to Countrywide back in 2004, which I’m sure a lot of your audience know because we caused a lot of the problem that happened in a good old 2008. Scott: You bought a lot of the problems that other people created. Jason: That is true. We packaged up a lot of subprime stuff and made it Triple-A credit rating. I was with Countrywide for a long time, four years, I left when everything happened with them, and then I became a full-time investor in 2008, it’s when I focused on short sales. As that started to weed off and the states all started getting crazy with not knowing, “Is this person doing something illegal?” or “Are they doing this? Or are they doing that?” I went into non-performing notes at that time. I think with my background being in the mortgage business and knowing what happens, from that standpoint, I started just reaching out to banks, mom-and-pop style and regional banks. It was crazy. They had so much availability at that time. They would send me emails with Excel spreadsheets and I would just be blown away. What was even crazier is how much they wanted for the unpaid principal balances of those non-performing notes. It’s nuts. Now we’re still doing notes in my business. I deal a lot with a wholesaling, not so much with rehabbing anymore. We do it if a great deal comes along and then continuing to build up my own personal portfolio of income-producing properties.